Magnet Imprint: Price includes a 4-color process imprint on a white surface. 4-color process allows you to print as many different colors as you want for one price! All PMS colors will be converted to the closest 4-color process match. A perfect match cannot be guaranteed. Notepad cannot be custom imprinted. Please choose a stock background for the notepad. If not specified, a blank pad will be used. 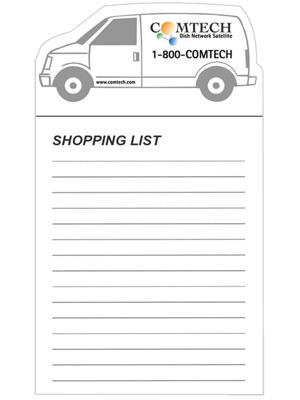 Please specify the notepad stock background on your order.